I will openly and freely admit that until just recently I was vehemently against the idea of wearing bibtights. 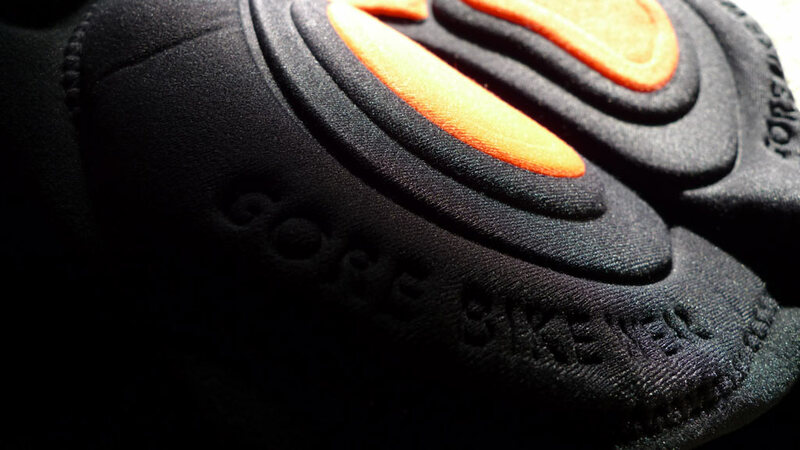 But here I am, about to unleash a very positive review of the Gore Bike Wear Xenon SO Bibtights+. 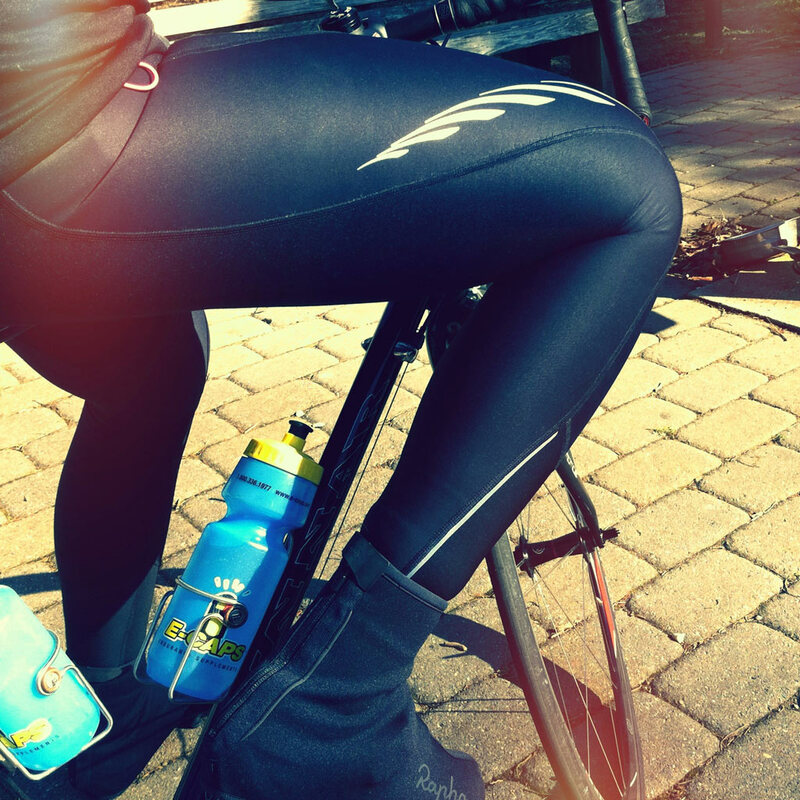 So I began the search for the PRO bibtight, because this self-respecting rider cannot rock legwarmers. Decidedly NOT pro. I decided that if I’m going to do this, I need something to protect my tender thigh-skin from the elements. This weather shield would have to be windproof in addition to warm. 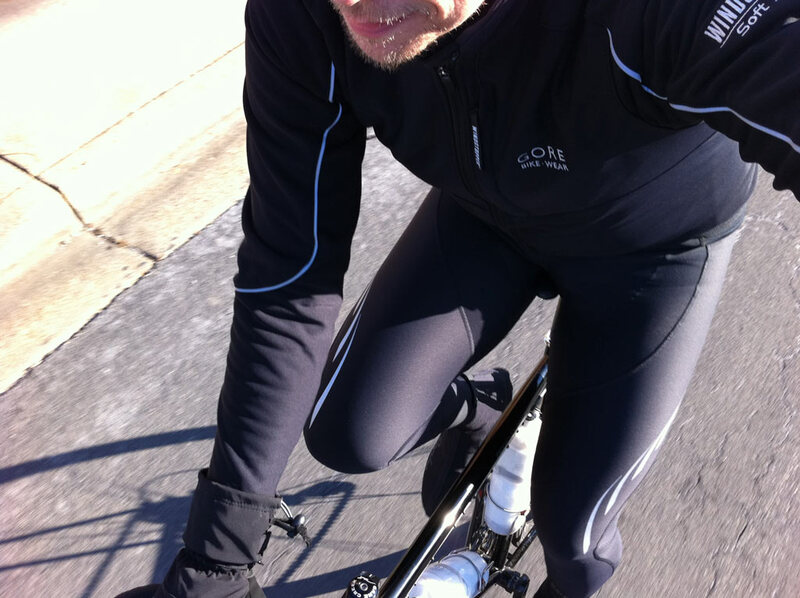 After much deliberation, I decided the Gore Xenon bibtights would be my chosen armor. Here’s what I discovered. My chosen techno-chainmail was delivered just as I was about to venture out for a windy ride with temps barely hovering in the mid-30’s mark. Perfect timing. I snapped a few quick shots for the future review, then proceeded to pour myself in. Warning, these “The Windstopper® material has little give for someone like me that has a lot to give.”bibtights are just that—effing tight! The Windstopper® material has little give for someone like me that has a lot to give. For reference, they are size large. I’m 6’1″ and weigh around 193 with most of my lovely baggage around my midsection. Since I’ve been regularly riding/training I’ve lost a ton of excess weight from my legs. Odd that I could barely get my legs to fit! You’ll definitely have to exhibit a multitude of patience the first couple of times putting them on. You don’t want to rip any seams, but you also want to get these as pulled tight as possible. On my first attempt, I made the mistake of not pulling them up high enough, so when I sat on the bike I was literally suspended above the saddle! Obviously not expecting that sensation, it nearly threw me off balance. It’s up to you whether or not you need to size up or not. I’m rapidly losing weight, and I figured that the tights would stretch out a little after usage, and they have. If you have the opportunity to try them on first, by all means do so. It should also be noted, if you want to wear your socks underneath the tights, I HIGHLY recommend to put them on first before the bibs. There’s no room for error here. Once you’ve painted everything on, the braces fit over the shoulders with no problem. 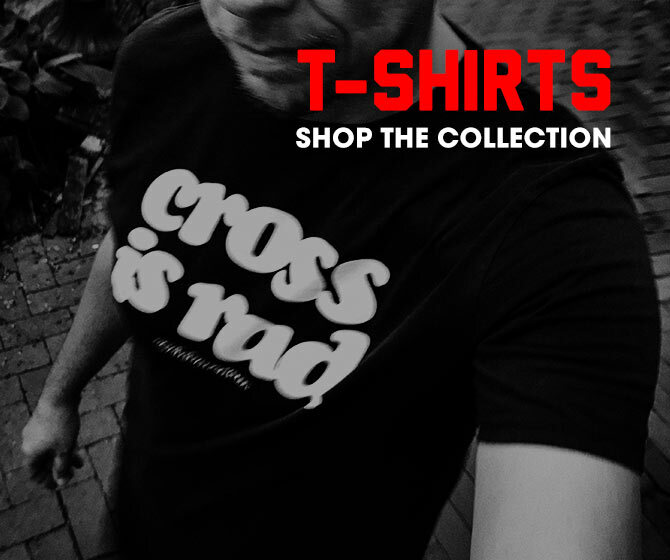 The front zips up about 5-6″ for those “natural breaks” that Phil + Paul commonly refer to. Again, it should be noted that the zipper is still very high, so relieving yourself once inside the armor is an adventure. Your body uses an extraordinary amount of energy regulating it temperature, especially when it’s cold. If you’re like me, your muscles shut down when the temperature drops, even more so when it’s windy. Windstopper® material simply does its job by blocking the wind from reaching your skin.“…when the temperature is fluctuating these breathable panels are a welcome relief.” The brushed interior material traps your body heat on the inside. There are panels on the upper thigh where the fabric allows for venting. While I’d rather have my legs completely covered, when the temperature is fluctuating these breathable panels are a welcome relief. Finally, the “right place” I speak of is the chamois area. There’s nothing worse than having your goods frozen (both men and women), so the Windstopper® material added there is a lifesaver. I know that Gore is continually working on their laminates to achieve their high technical specifications as well as making them pliable. That being said, I’d still like to see the Windstopper® material with more stretchability. The tights move where they need to move, but sometimes feel restrictive. For me, they press a little too much in the knees, especially out of the saddle and climbing when your knee is floating. Now that your goods are shielded from the elements, what’s protecting them from the friction and crushing pressure of sitting on a saddle? That’s handled by Gore’s Xenon Sonic insert. The XS insert is a pro level pad. It doesn’t provide a couch to sit on, but it’s got everything it needs right where it’s needed. For me this is a good thing, considering that it’s attached to an already thick softshell fabric. If there was any more material down there, you’d lose the feedback needed to not feel like you’re actually riding a bike. The white-ish marks on the sides of the thighs are highly light reflective. Gore has always made it a point of providing quality and quantity when it comes to reflective safety material. The Xenon line is no different. You can see from the shot I took with the flash on that my legs look like they’re on fire. Perfect for oncoming traffic to take notice. Vertical reflective stripes are also provided along on the lower calf as well as in the logos on the front of the shins. Any more and you’d blind oncoming traffic! There’s not much to fault on this piece. They meet their intended purpose with aplomb. My only concern is the unforgiving (at first) tight fit, but that’s solved by trying them on first. And lastly, for being bibtights, they actually look pretty good. PRO FACTORS: Gore’s Windstopper® and venting in all the right places allowing for comfortable protection from the elements without overheating, Xenon Sonic insert is a pleasure, product makes you feel pro to put it on (always a plus). 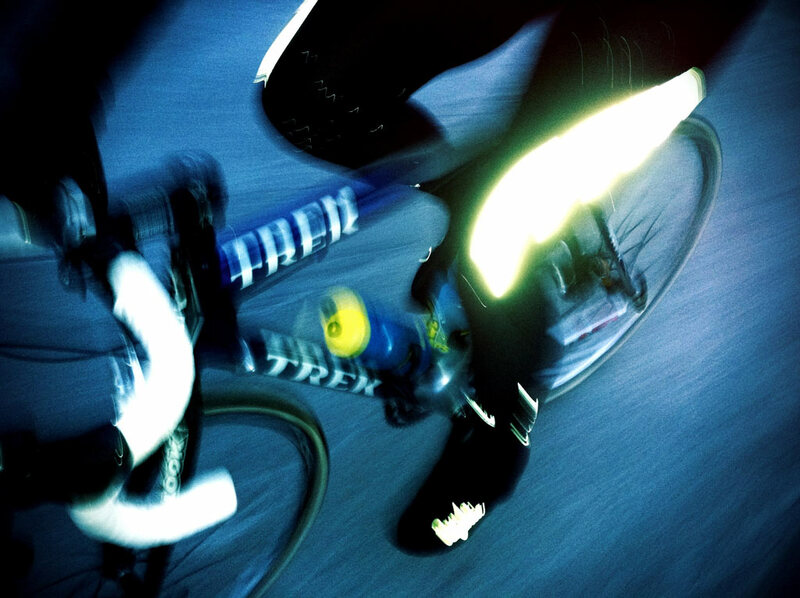 RATING: 90% – The Gore Xenon SO Bibtights+ are PRO level quality.